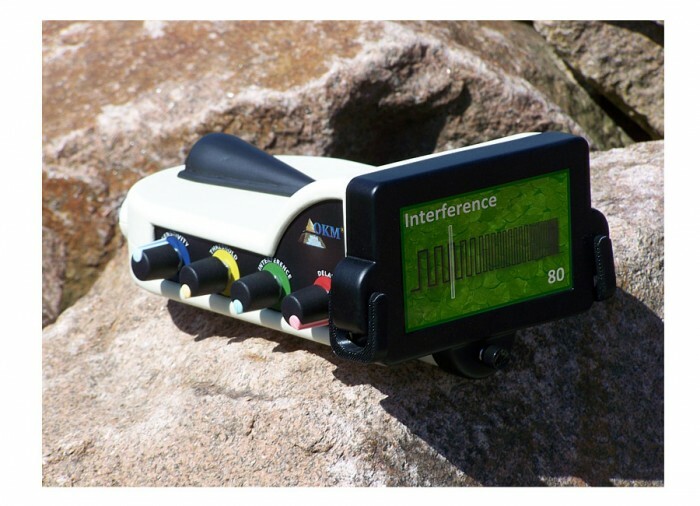 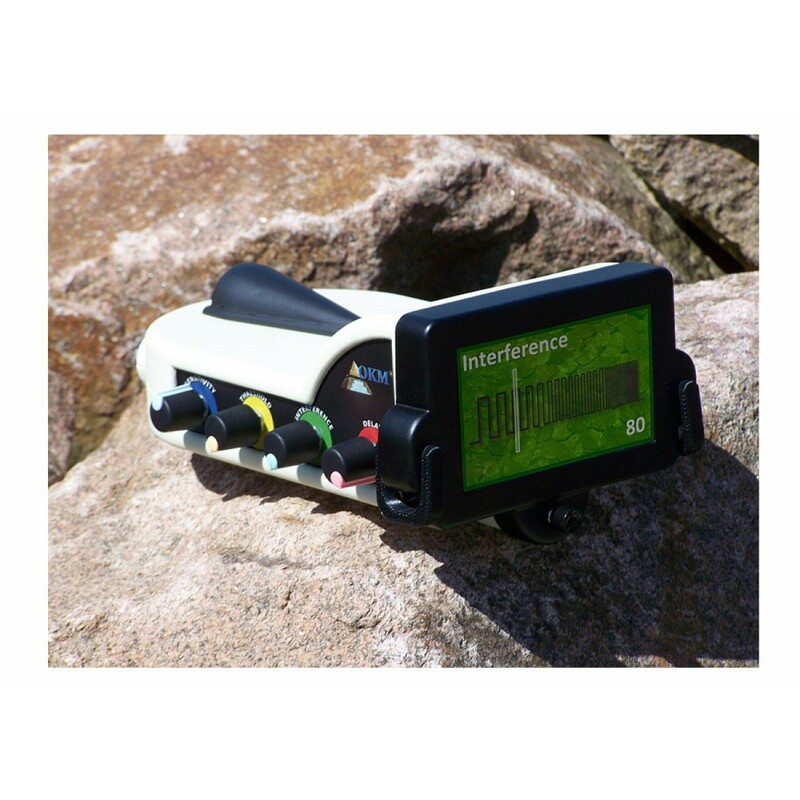 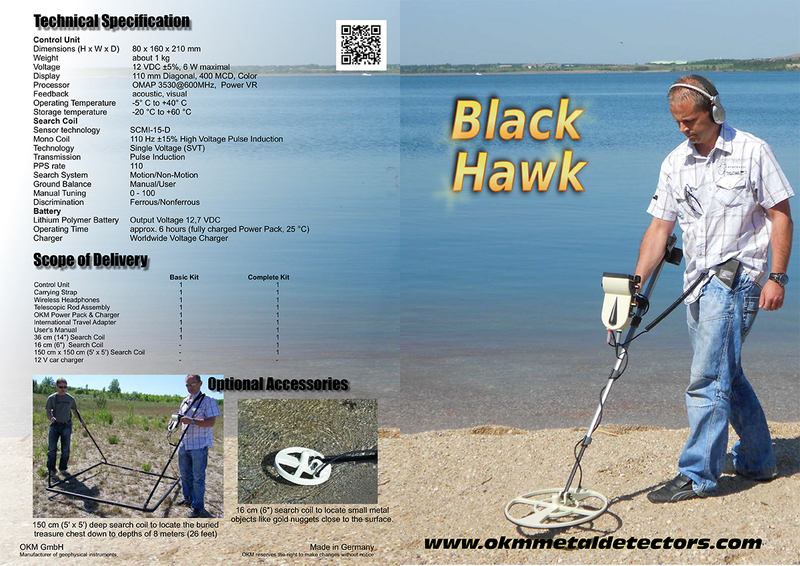 The Black Hawk R3 Pulse Induction detector from OKM enables the user to locate precious metals with extreme ease as deep as a metal detector can go. 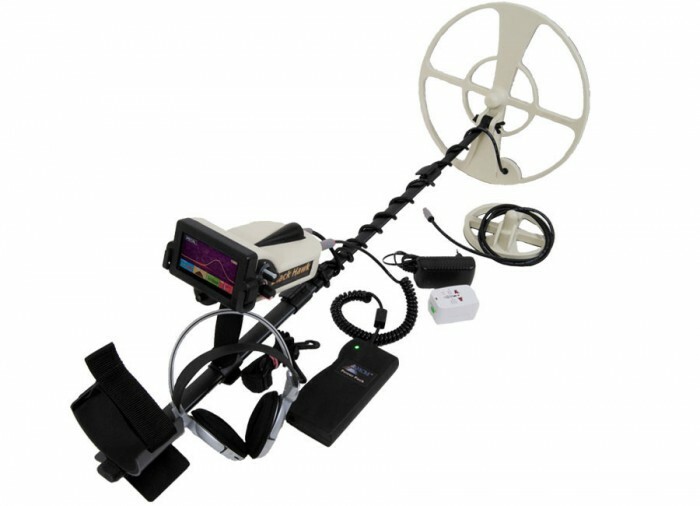 This detector was built with the treasure hunter in mind! 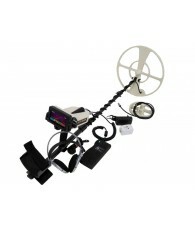 It has been simplified to work at full efficiency within minutes out of the box. 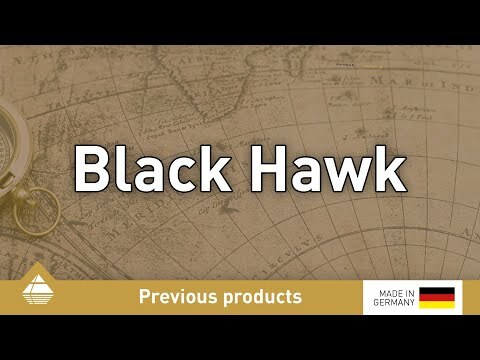 You don’t need months of practice to become proficient with the Black Hawk. 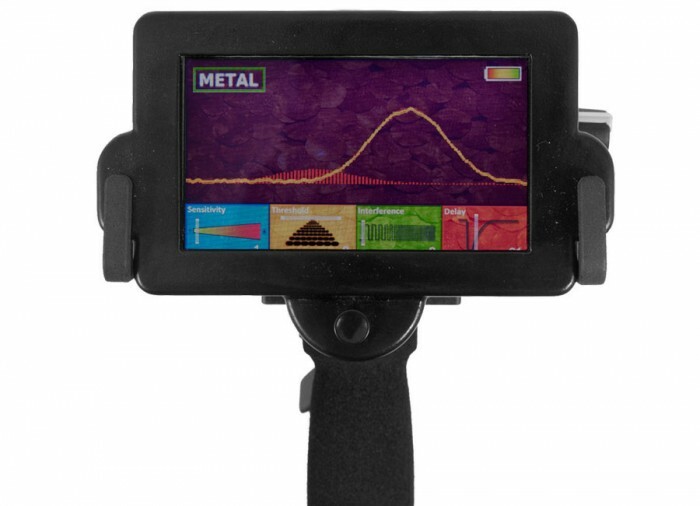 Know if the metal is a ferrous or non-ferrous. 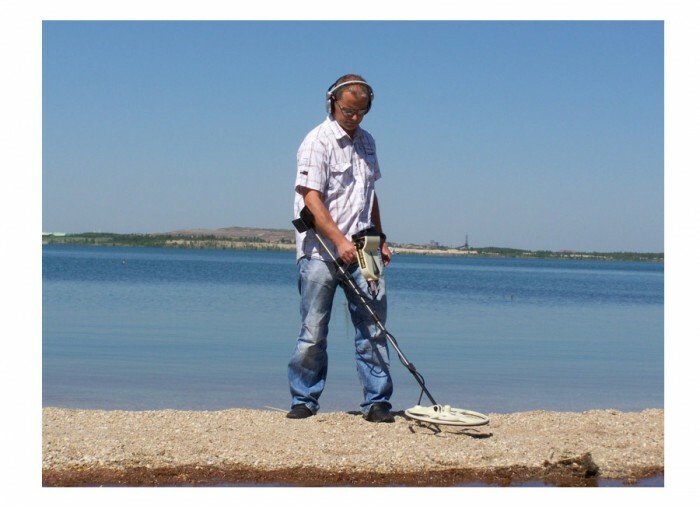 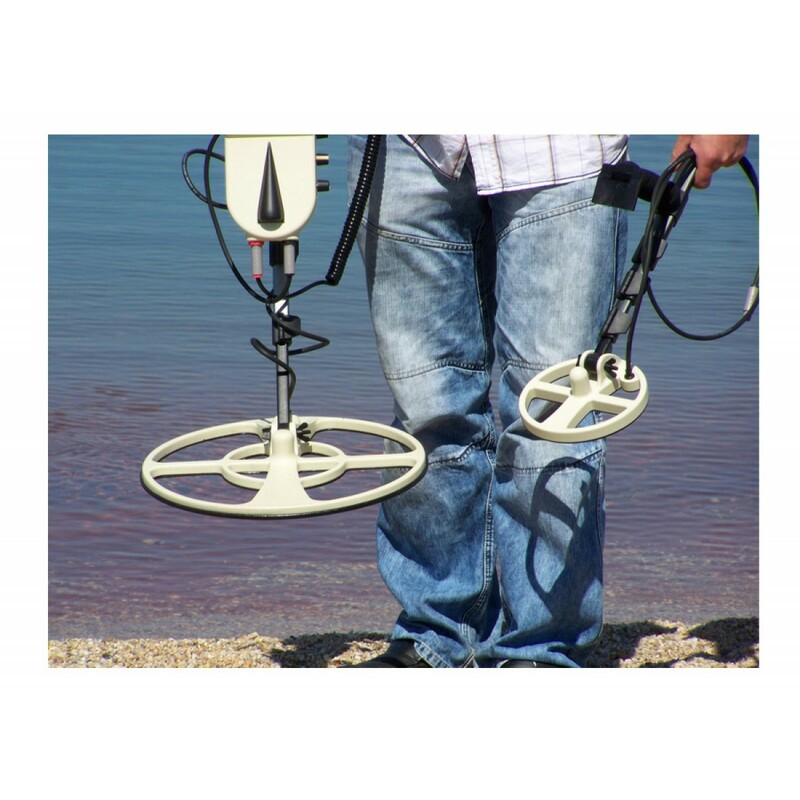 This high powered detector can find single nuggets down to over 45 cm (18") deep and larger gold and silver objects like a treasure chest to depths well in excess of 8 m (26’)! This is all done by creating a high energy eddy current which allows this detector to search deeper than the competition! 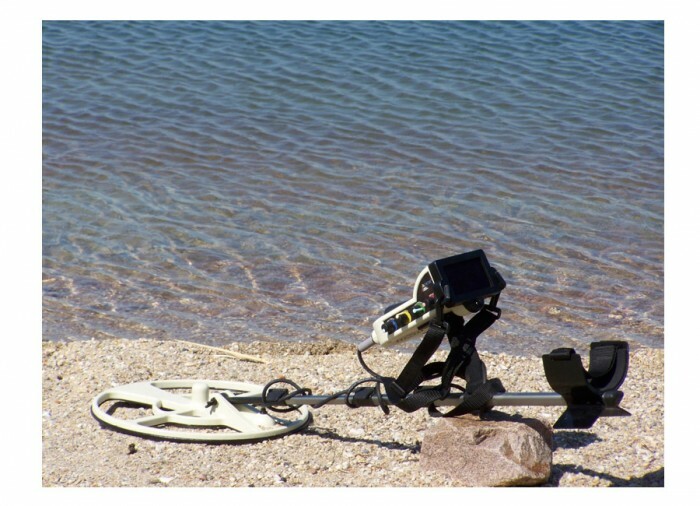 Another advantage is that this Pulse Induction detector can be used in nearly all terrains and does not respond to typical iron mineralization or black sand. 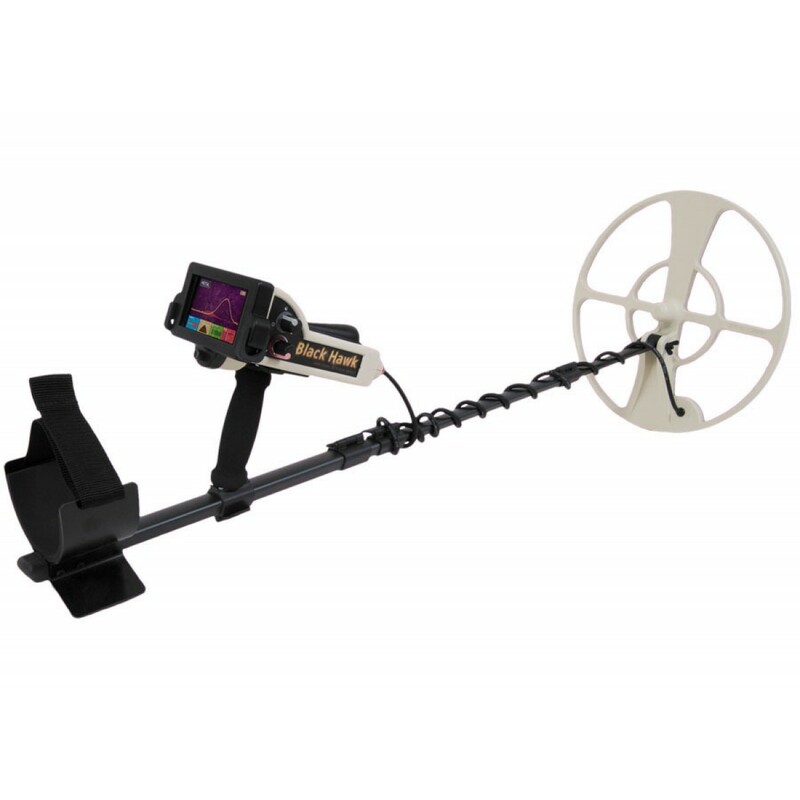 The Black Hawk R3 is an extremely efficient metal detector which utilizes a higher power scheme to search deeper in many different types of soils. 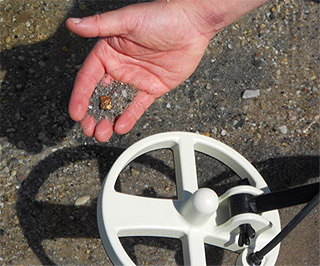 Having accessed the latest in pulse induction detector technology, our engineers have been able to increase the size of the detection field (SDF), enabling the unit to see deeper. 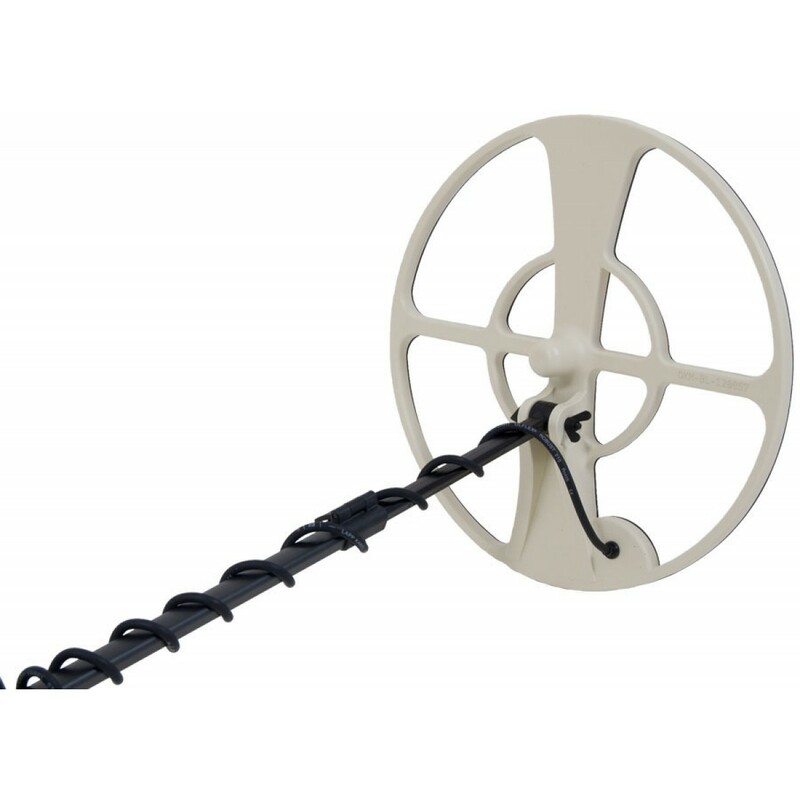 Using an automatic varying Eddy current allows the Black Hawk R3 to delay the next pulse which makes the transmission coil also the receiver coil. 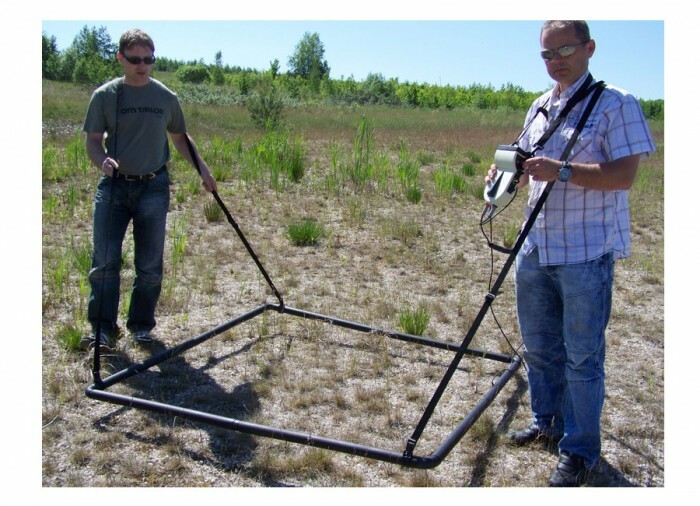 This additional delay allows the usage of larger search coils like our 60" x 60" (150 x 150 cm) for extremely deep objects or our 16 cm for the very small gold nuggets. 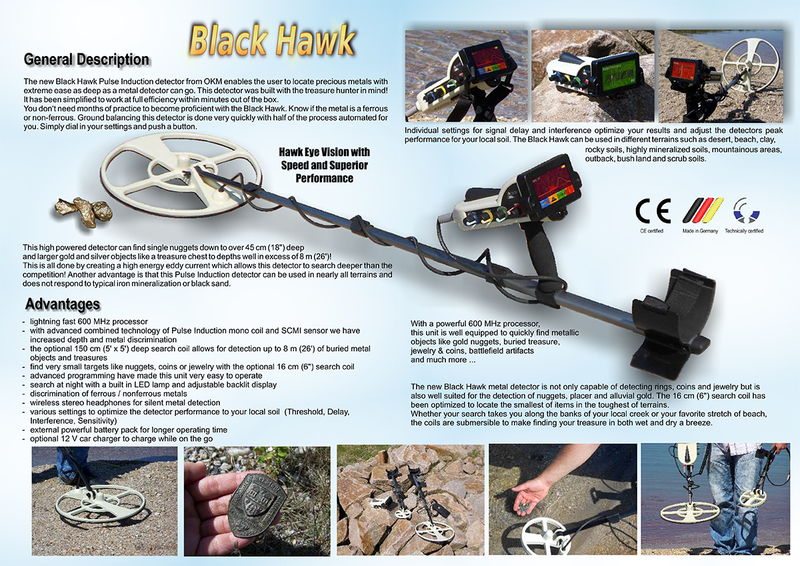 Black Hawk R3 Detector Finds Gold! 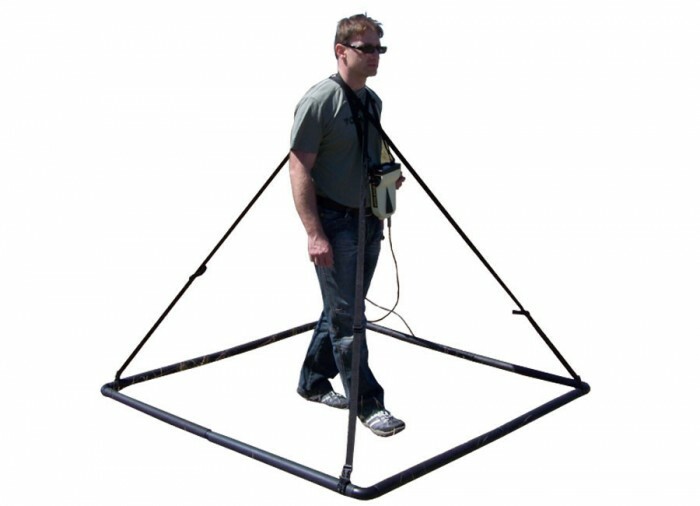 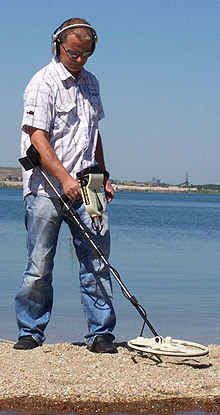 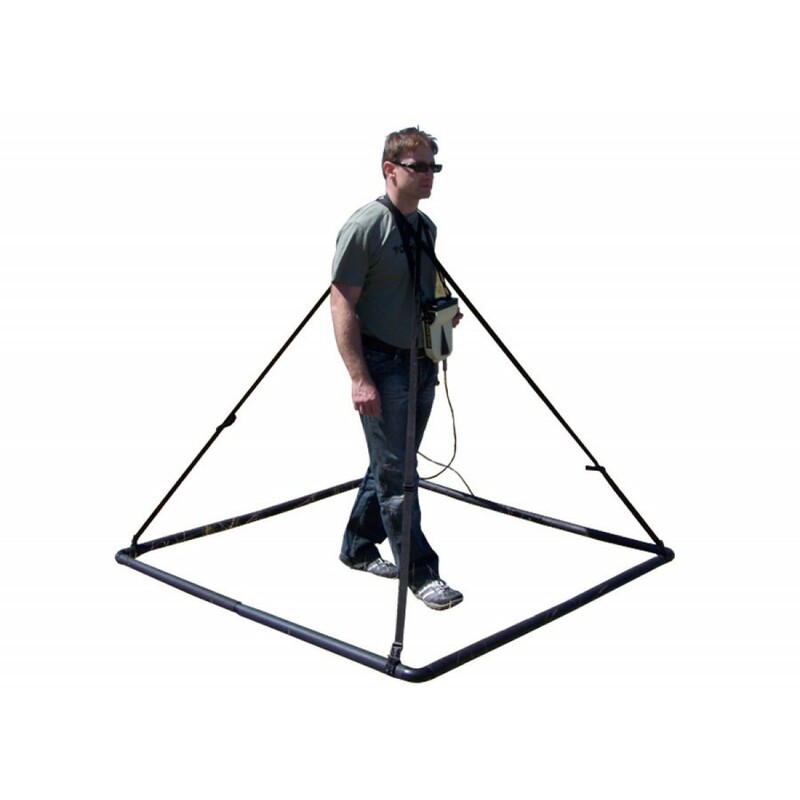 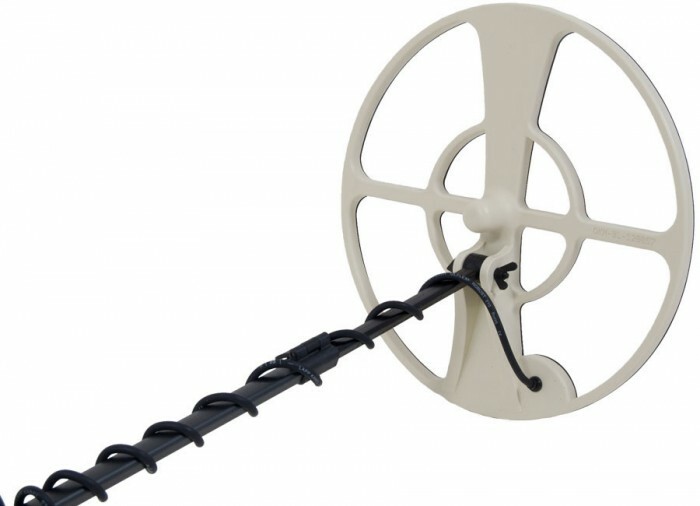 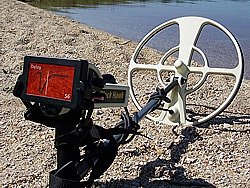 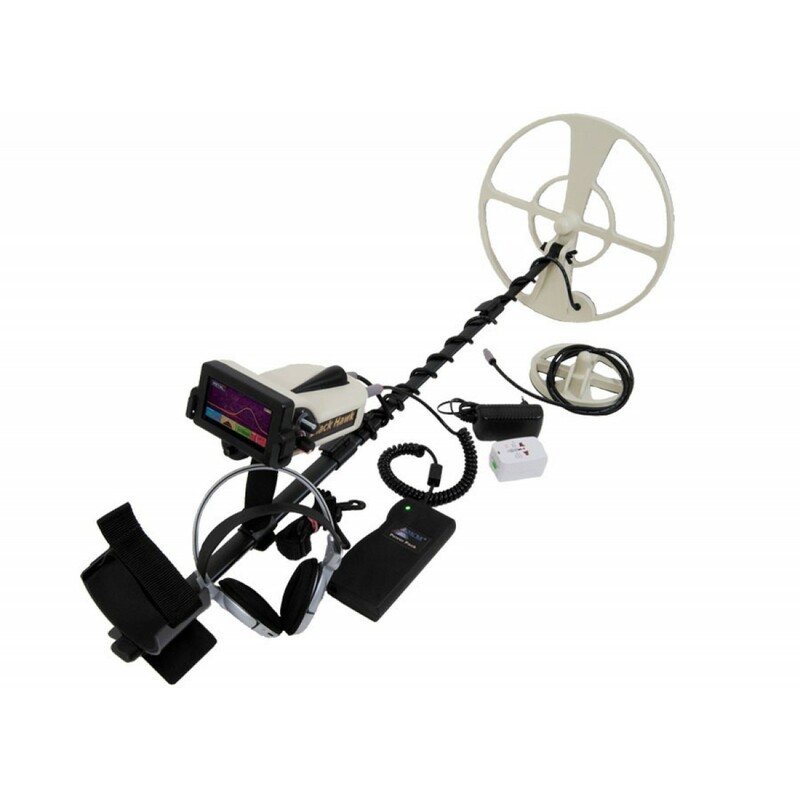 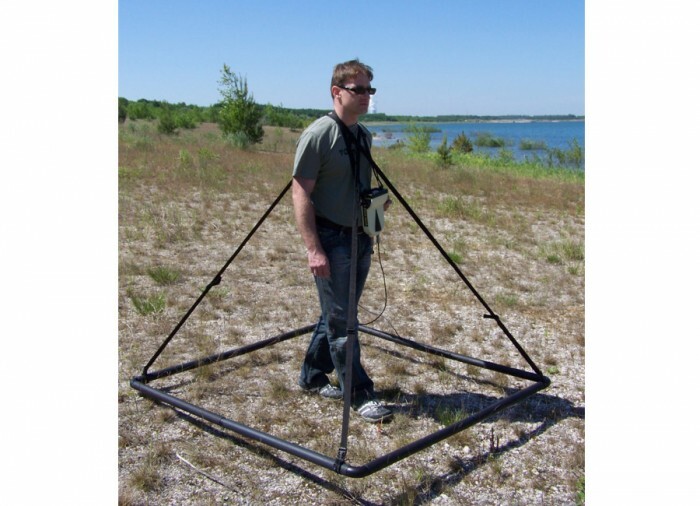 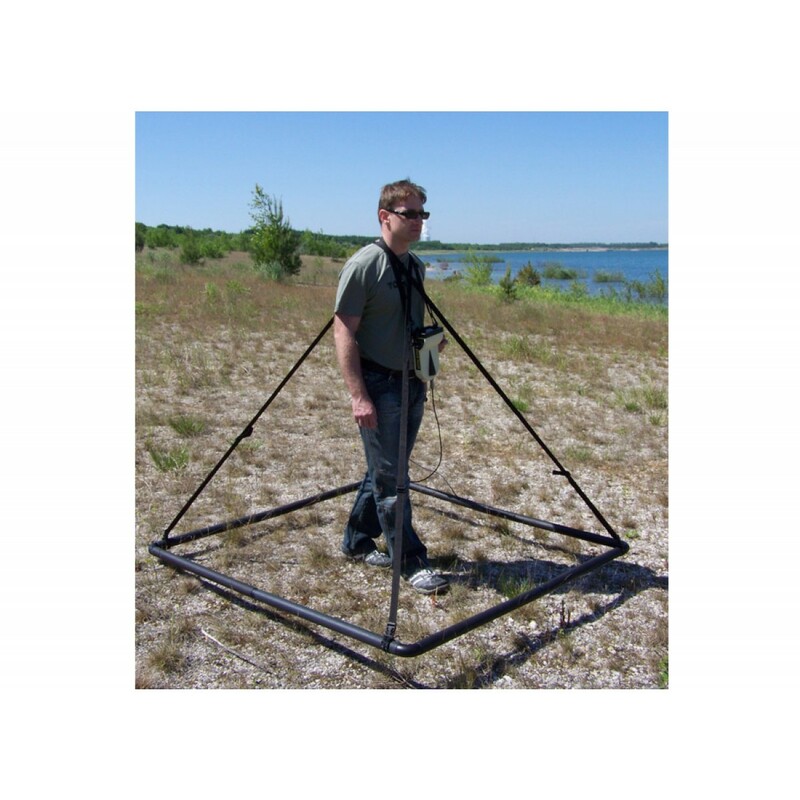 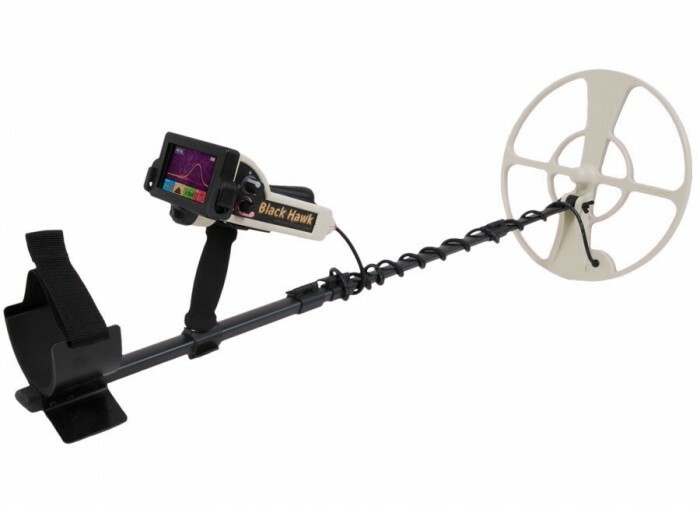 The Black Hawk R3 metal detector is not only capable of detecting rings, coins and jewelry but is also well suited for the detection of nuggets, placer and alluvial gold. 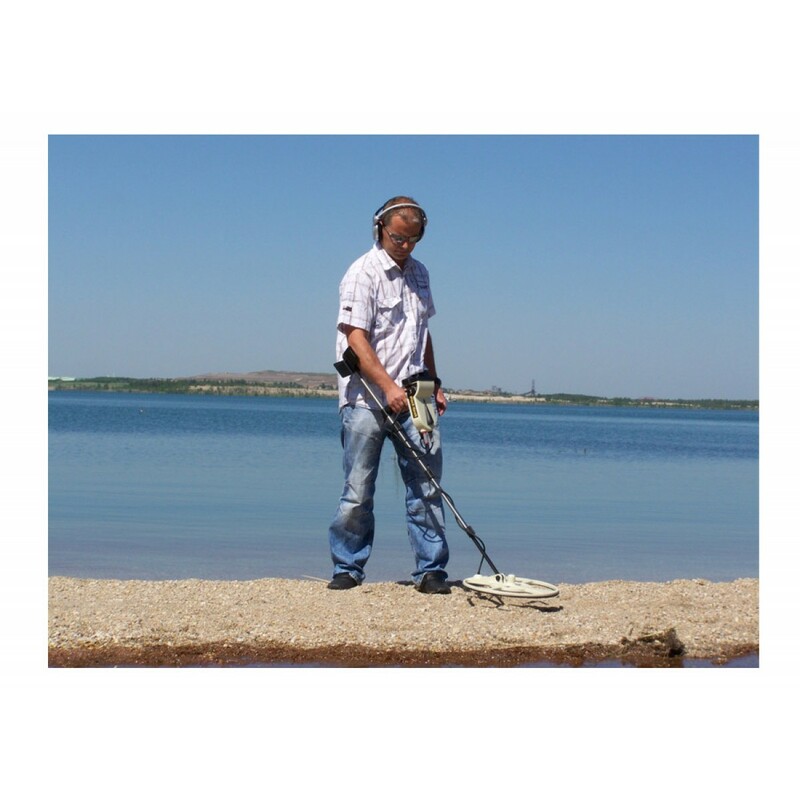 The 6" (16 cm) search coil has been optimized to locate the smallest of items in the toughest of terrains. 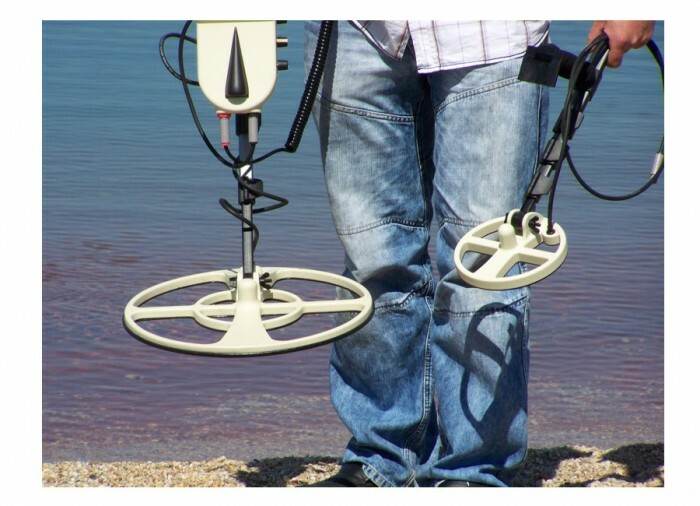 Whether your search takes you along the banks of your local creek or your favorite stretch of beach, the coils are submersible to make finding your treasure in both wet and dry a breeze. 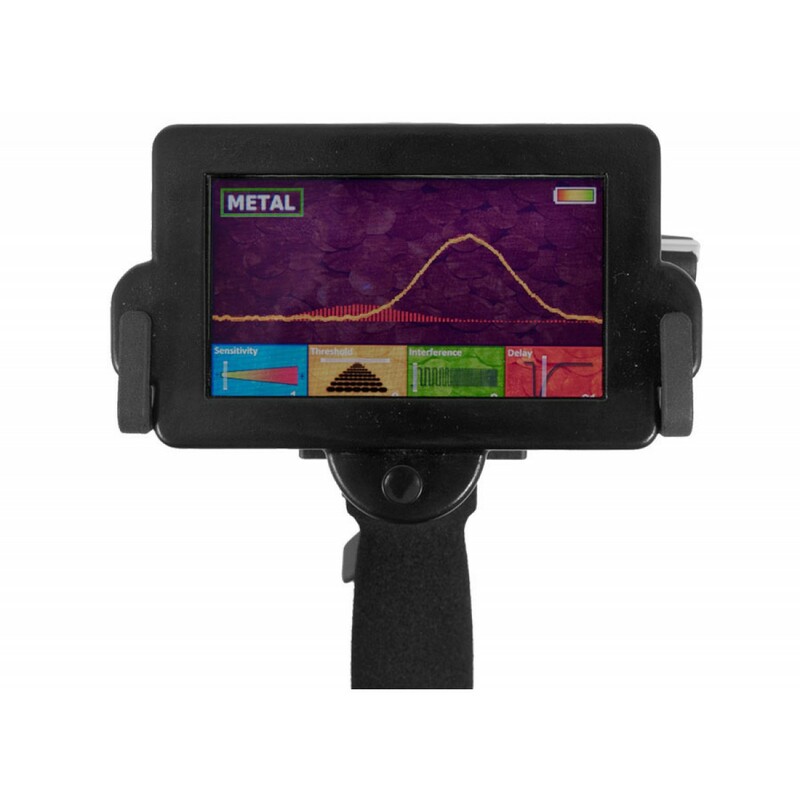 Individual settings for signal delay and interference optimize your results and adjust the metal detectors peak performance for your local soil. 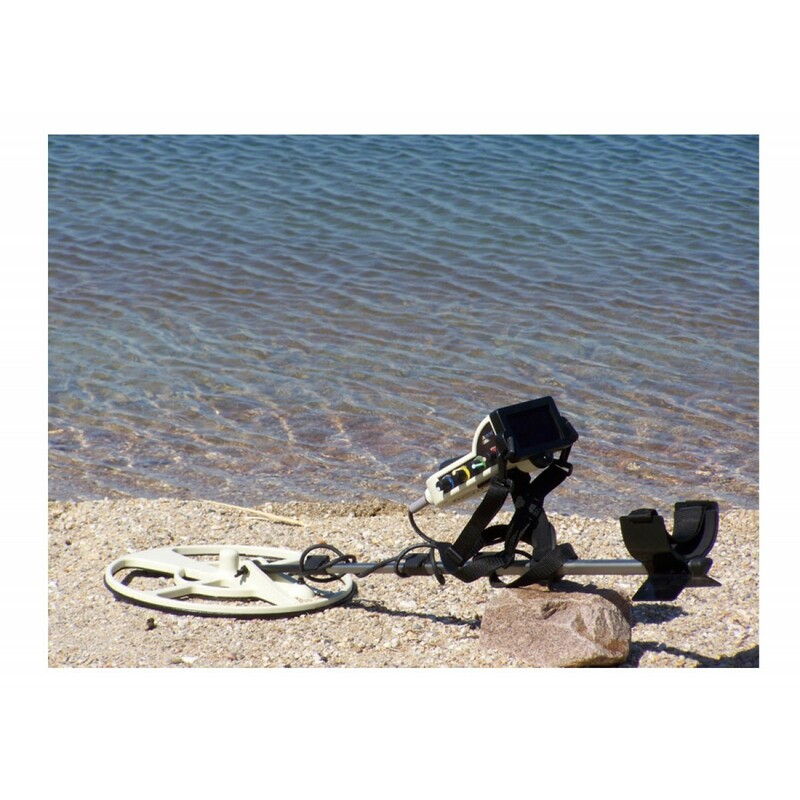 The Black Hawk R3 can be used in different terrains such as desert, beach, clay, rocky soils, highly mineralized soils, mountainous areas, outback, bush land and scrub soils.